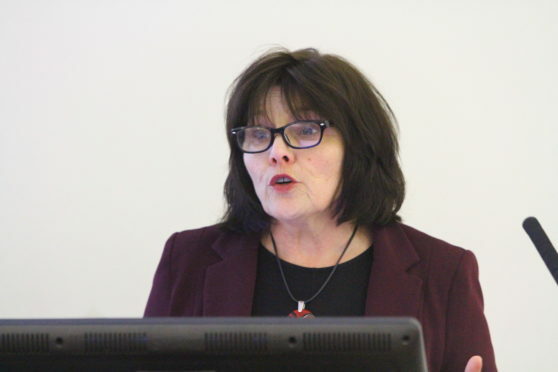 Scottish Government health secretary Jeane Freeman has said nurses could help plug gaps in NHS Tayside’s mental health services. An independent review into mental health services in Tayside is currently under way following a campaign by people who blame care standards at the Carseview Psychiatric Centre for a series of suicides and other incidents. The review, headed by Gavin Strang, is collating evidence it collected from members of the public and staff involved in mental health services in Tayside. Although the independent inquiry will not report back for several months, NHS Tayside has created a Mental Health Alliance in order to improve services. Ms Freeman said she is optimistic NHS Tayside is committed to making improvements campaigners demand. She said: “We have the Gavin Strang review which is very important and will report later in the year. “But what I thought chief executive Grant Archibald said about the Mental Heath Alliance, was very interesting. “The problem with recruiting consultants is a global problem. “So while we will continue to try to recruit we have to look at what can we do with the staff cohort we have just now rather than sitting and saying’nothing can get better until we fill these vacancies’. Last week councillor Ken Lynn, vice-chairman of the Dundee Heath and Social Care Partnership pledged his “total commitment” to creating a 24-hour mental health crisis centre in Dundee. Mr Lynn said he believes the centre should operate in the city centre.